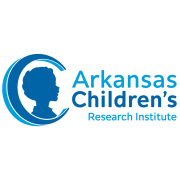 The mission of the Access to Healthy Foods Research Group is to build evidence, capacity, and support for an equitable food system that fosters the health and wellness of children, families, and communities in Arkansas. The work of the ATHF Research Group focuses on the development, delivery, and evaluation of individual and environmental-level interventions such as farm to school, school and community gardens, and support for increased local and healthy food production, distribution, and consumption. The ACRI Access to Healthy Foods Research Group conducts state-of-the-art clinical, translational, and community-based research and provides leadership and coordination between various local and state partners to obtain evidence that can be used to develop strategies leading to the prevention of childhood obesity. Our strategies include the establishment and promotion of farm to school practices, school and community gardens, and sustainable agriculture practices. Would you recommend Access to Healthy Foods Research Group?